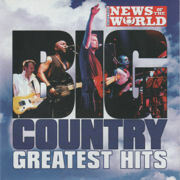 www.bigcountry.co.uk Management - Ian Grant Mgmt. This compilation (p) and © NewsGroup Newspapers Ltd. For promotional use only. Not for resole. All rights reserved. Unauthorised public performance, broadcasting or copying of this work is prohibited. The producers of this CD have paid the composers and publishers for the use of their music.